You want to get the most out of your PS4 and Xbox One deals? Look no further than your screen: the star discount in the US today is a $500 sale on a very nice 55" OLED HDTV. Budget-conscious online gamers will get ample bang for their buck with a deeply discounted headset, and you can also get some savings on Apple Watches and new Kindle e-readers for your upcoming holiday travel. 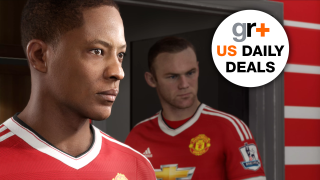 Check out the US gaming deals below and come back tomorrow for another fresh selection. If you've ever seen an OLED television or other display (like the original PlayStation Vita), you know the eye-pleasing difference those deep, inky blacks and vivid colors can make for just about any image. This monitor isn't 4K, but for all but the most massive displays you'll get a better experience from superior colors rather than enhanced resolution. Are you still using the junky little headset that came with your console? You deserve an upgrade, and it's tough to argue with a cushy headphone/mic combo like this for under $20. Your roommates and/or teammates will appreciate it.